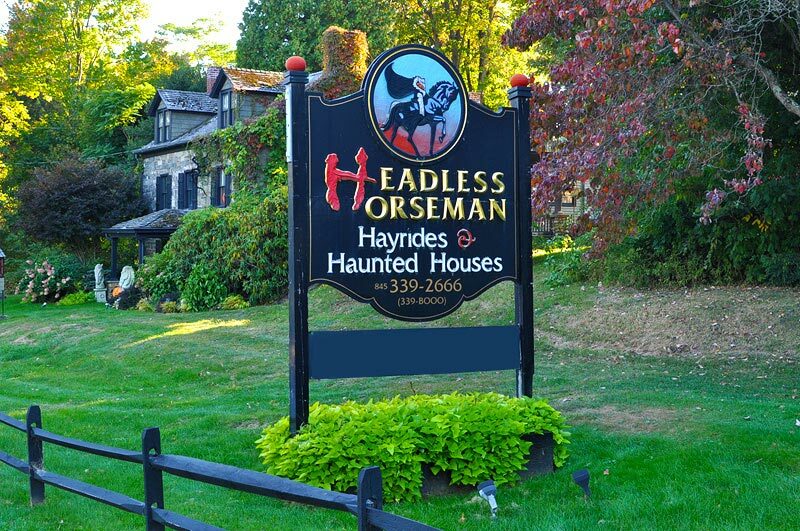 Headless Horseman Hayrides and Haunted Houses sits on a 250 year-old farm that incorporates over 65 acres of naturally landscaped property including foreboding woods, surreal ponds, fruit orchards and more. It has won awards from MTV American Airlines, HauntWorld, New York Daily News, CNBC, Fangoria, and more. It has been featured on The Travel Channel, Comedy Central, Emeril Live, Good Morning America, Nightline, CBS Evening News, and The Today Show. Opened in 2009, The Birches at Esopus in Ulster Park, NY, is an 80-unit, affordable senior housing community overlooking the Hudson River. Named New York State Association for Affordable Housing’s (NYSAFAH) Project of the Year in spring 2010, The Birches at Esopus is also one of four national finalists for Senior Project of the Year for Affordable Housing Finance Magazine (and featured in their July/August issue). 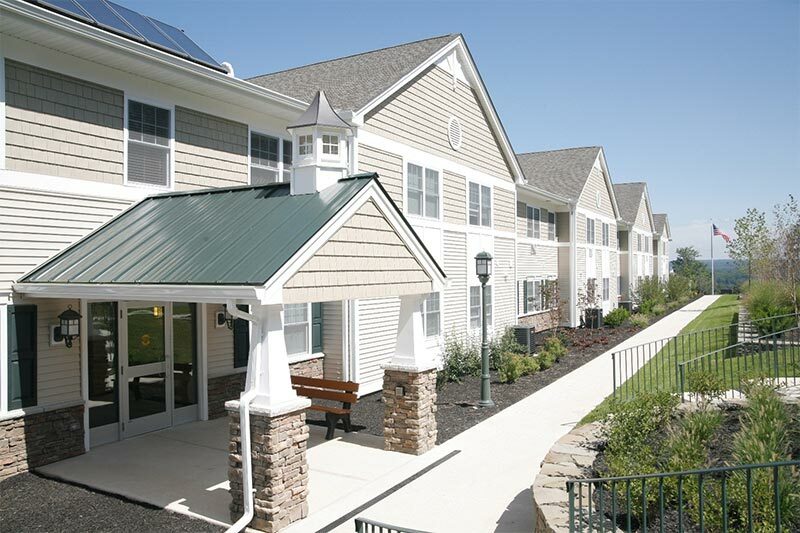 It is also the first new construction, low rise multi family to be designated an Energy $mart Building by the New York State Energy Research & Development Agency (NYSERDA) for over 30% energy savings. Charles Ferri spent over 2 years looking for the most “iconic” location for a new destination distillery. “I wanted to be in NY State and especially the Hudson Valley, because having grown up here, I appreciated the beauty and abundance of its natural resources (water purity is key to distilling). There were many locations I was interested in but none of them had the complete package like the one we have in Esopus. The Hudson Valley to me is the jewel of NY State and having my destination distillery there with its close proximity to NY City made it the perfect location that was open to new ideas and businesses. 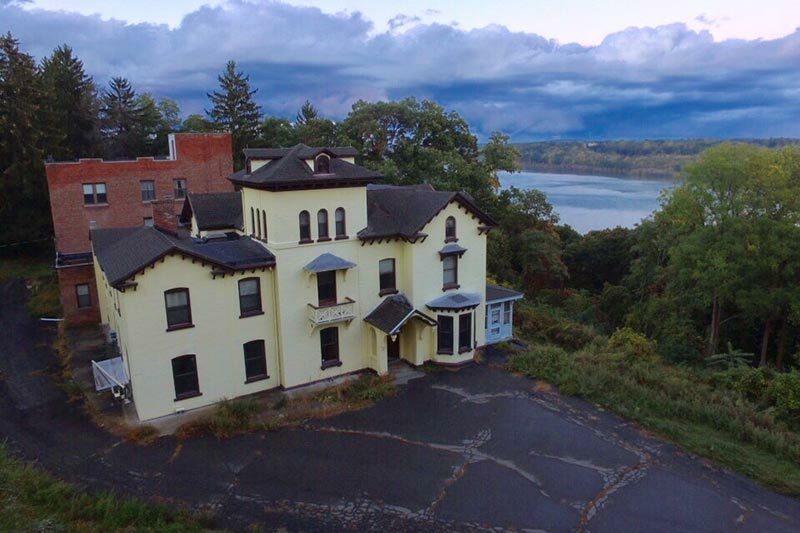 I stumbled upon what was to me the most incredible and magical property on the Hudson River, the former Christian Brothers Monastery. The most important choice I had to make in deciding where to plant my roots was to first determine how receptive the town was to my business plan. I met with the Supervisor and Town Board to share my vision of what I wanted to create on the property. I needed and received full town support to make this project happen.” Charles’ Star Vodka project has been granted a 15 year County tax abatement, and was awarded a $750,000 grant from Governor Cuomo. We look for it’s grand opening in the near future. 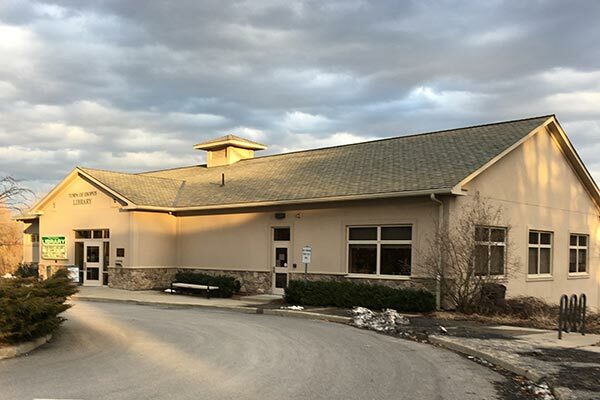 On April 15, 2007, The Town of Esopus Library celebrated the opening of a new, environmentally green building. NYSERDA provided funding to incorporate energy efficient measures which led to being designated a high performance building. The library uses two solar arrays: one on the roof and one in the back yard. A geothermal heat/cooling system keeps the temperature comfortable, and with an 80 person Community Room, we offer wonderful programs for all ages. The town had rallied around this project, and led by an Eagle Scout, the townspeople volunteered to move the entire library collection from 189 Broadway to its current location at 128 Canal St. Creating a community place and outdoor learning center was essential to the vision of the townspeople. As a part of our low environmental impact, we have a pond created from ground water runoff in which turtles, frogs and fish thrive, and with the addition of a new vegetable garden, opportunities for outdoor learning abound. Beautiful views of the Hudson River and Esopus Lighthouse, as well as a robust collection, make the Town of Esopus Library a great destination.